Is there anything more quintessentially English than Afternoon Tea? If you’re in the region for a relaxing afternoon tea, Leeds is the place to be. From offerings including unlimited Champagne to a pay-as-you-feel experience set within a Grade II listed former Church, there’s something for everyone. If you’re in the region looking for a restaurant, take a look at our Michelin Starred Restaurants in Yorkshire guide. One of the most exclusive spots in Leeds, for over 20 years Harvey Nichols has been known up and down the country for its fantastic, luxurious shopping complex and attracts many visitors each year. 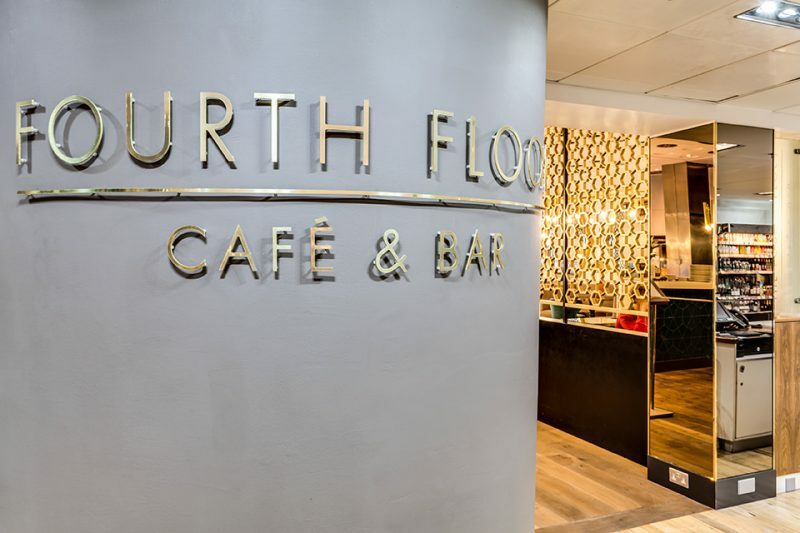 Their afternoon tea offering can be found within their Fourth-Floor Cafe & Bar, which is a delightful, welcoming space. They offer a fantastic afternoon tea experience, which includes everything from Ham Hock fritters with English mustard, a myriad of sweet treats, like chocolate brownies with passion fruit meringue. It offers the class that you’d expect from Harvey Nichols. You can enjoy unlimited tea or coffee and scones, cream and their very own preserves. Although it’s one of the more expensive on the list, it’s certainly one for a special occasion. You can also upgrade your experience to include Champagne for an extra £8 per person. Left Bank Leeds was once a church which served the Headingley community for almost 100 years. After becoming unused it was lovingly developed and is now a unique community space which hosts a packed calendar of events all year round and has a mission to bring people together. On the second Wednesday of the month, they host a pay as you feel tea-and-cake afternoon which is designed to bring people together at a setting where they can share stories and get to know new people. 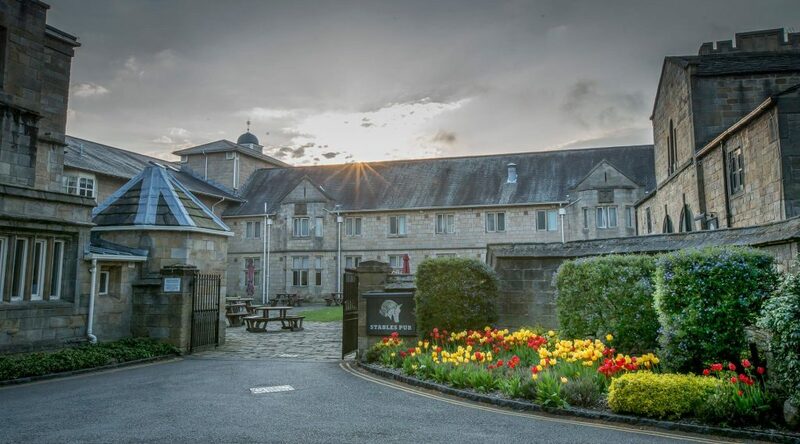 The building is a stunning Grade-II listed building with unique architecture, and it’s here that you can enjoy a delicious slice of cake and a cup of tea whilst enjoying your surroundings. Although the event is free, they welcome donations. I spoke to Helen, who works for Left Bank Leeds, and asked her to tell me more about the initiative, she said “Creativity, connection and wellbeing – that’s what Left Bank Leeds is all about. We aim to inspire and empower our local community to connect with each other, to arts and culture, and to new experiences. 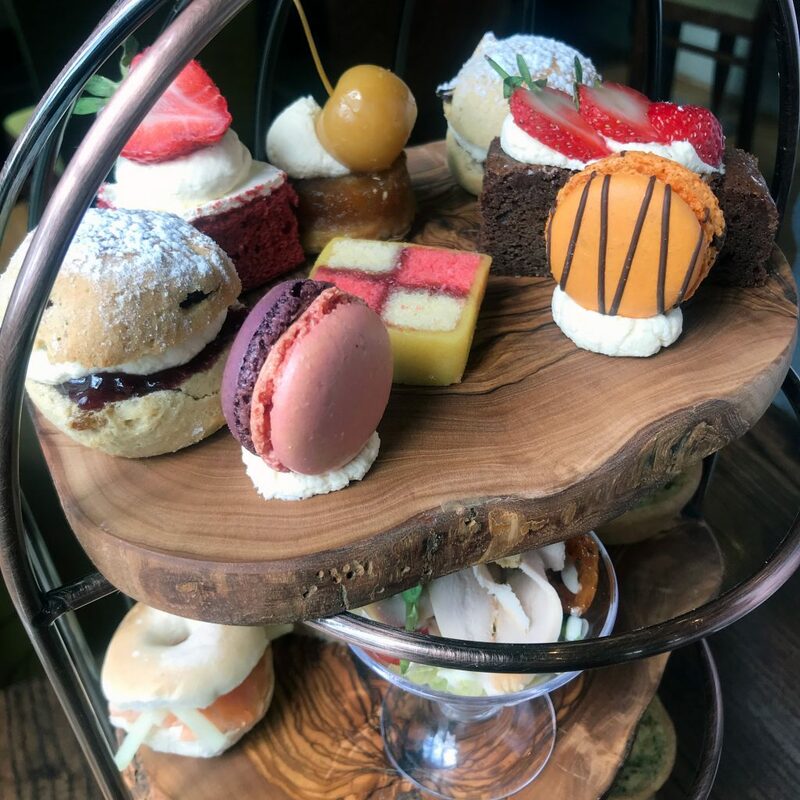 Our Afternoon Tea, held on the second Wednesday of each month, brings people together over a cuppa and an ever-changing array of delicious cake from our suppliers That Old Chestnut. It’s a chance to chat to someone you might not normally encounter – students, freelancers, homemakers, retirees – or enjoy a little time for yourself in an amazing space. Our rotating Porch Gallery exhibition means there’s always some thought-provoking art to view, too. There are few people in Leeds who are not aware of the spectacular Weetwood Hall. It’s a hotel which is a short distance from the city centre and can be easily accessed via the ring road. Although so close to urban surroundings, the Jacobean manor house can be found within nine acres of woodland and gardens. A visit to their Convive restaurant invites you to partake in their skillfully crafted afternoon tea offering. Their restaurant is modern and has some sensational views on offer. It’s the perfect location for a treat or a romantic afternoon. Their afternoon tea consists of a variety of delightful cakes, scones, macarons and mini quiches… delicious! Andrea visited Weetwood Hall for Afternoon Tea recently and described her experience “The waitress immediately knew it was us who had booked and sat us at a nice table overlooking the gardens at the back. There was already iced water on the table and we were told as we had called ahead the afternoon tea was already being prepared and sure enough, it arrived about 5 minutes after we did. It costs between £14.95 and £20.45, depending on whether you’re in the mood for a glass of bubbles. The Queens Hotel is one of the most recognisable buildings in Leeds. 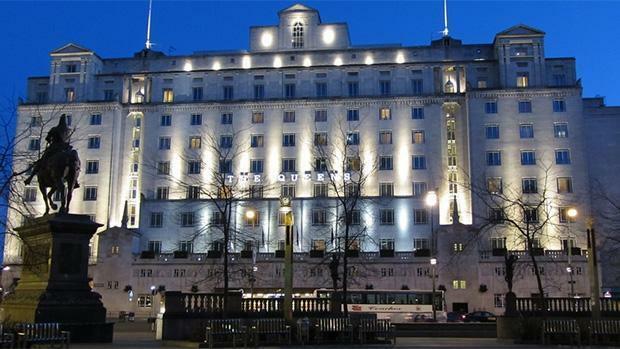 It’s a stunning Art Deco style hotel which is just a stones throw for Leeds train station. Interestingly, it is often cited as the first hotel in the UK to have en-suite facilities. Their afternoon tea offering can be found within their 1930s inspired Queen’s Bar, which hosts afternoon tea from 2 – 5pm every day. It’s perhaps one of the most traditional experiences on the list with classic elements such as smoked salmon and cream cheese sandwiches, and clotted cream and jam topped scones. They offer an upgraded option too, which includes a glass of champagne or a double gin and tonic. They also offer options to suit children, consisting of marshmallows and dipping sauces. Afternoon tea here costs £18 a head, or £23 with a glass of champagne or gin. 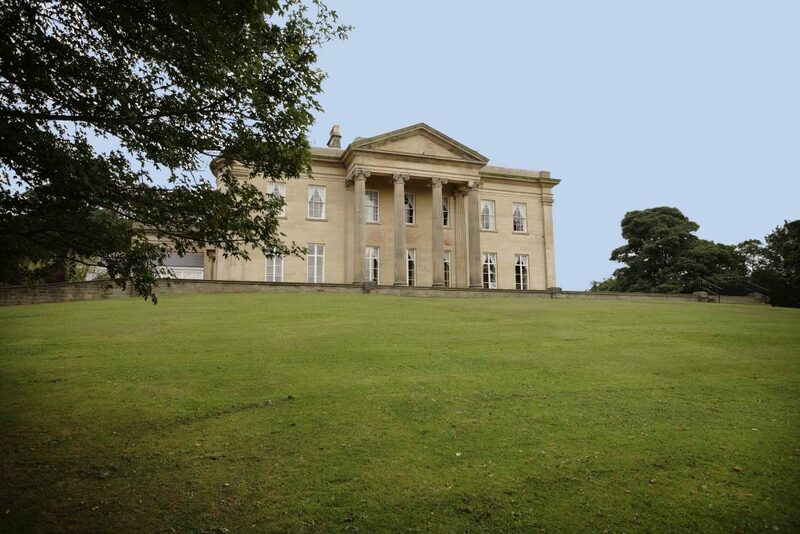 The Mansion, Mansion Lane, Roundhay Park, Leeds, West Yorkshire, LS8 2HH. Roundhay Park has to be one of the best locations in the whole of Leeds. It’s one of the biggest parks in Europe at over 700 acres and consists of history, an impressive lake and a packed calendar of events take place there every year. The Mansion sits within the park and offers a delightful afternoon tea in its Garden Room. It’s perfect for an afternoon escape, away from the city. The afternoon tea itself is presented beautifully and includes an ever-changing selection of cakes and delectable sandwiches. A celebration variant of the afternoon tea experience is available, which includes a glass of prosecco for each guest. Prices start at £38 for two or £46 if you’d like to include prosecco. You may not associate Japanese cuisine with afternoon tea, and rightly so. Isshos offering is an exciting step away from your stereo-typical afternoon teas. They incorporate their own unique spin, with some surprising elements which you may not have come across before. 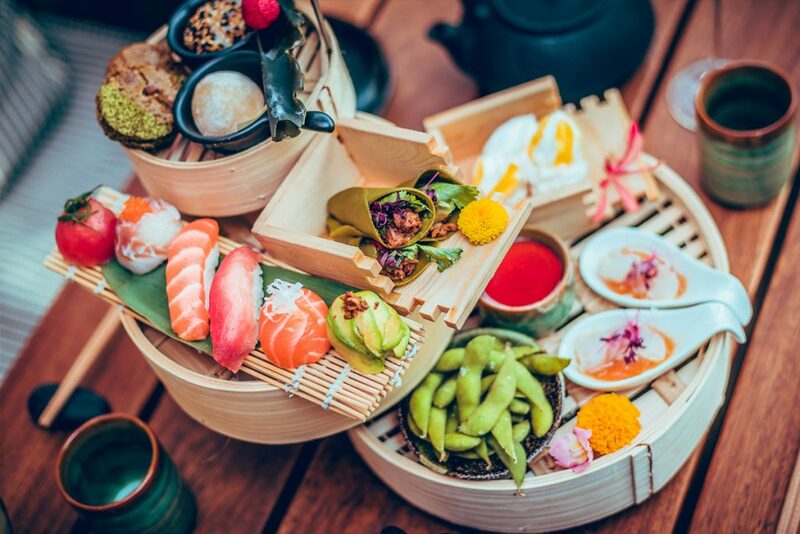 If you’re in the region for something a little different, then Issho is for you, they serve up delicious plates of edamame beans, sushi balls, sliced sea bass and various desserts. It costs £25 per head, with a minimum of two people. It can be upgraded to include bottomless prosecco for an extra £25 per head. If you’re looking for somewhere a little less formal for afternoon tea, then Just Grand! Vintage Tearooms may be for you. 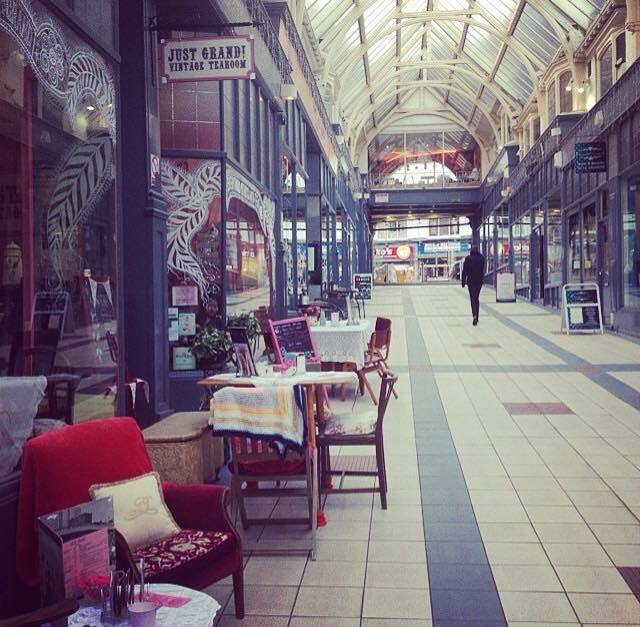 You’ll find their quirky tea room in the Victorian Grand Arcade. Although, not quite offering the same ambience as a plush hotel or stately home, they certainly won’t disappoint. They’ve combined old fashioned service, British nostalgia and traditional home baking to provide an afternoon tea experience which is sure to bring back memories of days gone by for many. The Just Grand! Afternoon Tea is priced at £13.25 pp. You’ll get a selection of 4 crustless sandwiches, a freshly baked scone with jam, butter & cream, traditional fruitcake with Wensleydale cheese OR your choice of cake from their daily offerings PLUS unlimited tea or coffee. Pay a little extra and you can enjoy something bubbly with it too! At over 100 years old, the Cosmopolitan Hotel is one of the oldest hotels in Leeds. Owned by Peel Hotels, its stylish bar and restaurant bar serves two types of afternoon tea. Their ‘Chocolate & Cocktail’ Afternoon Tea includes a selection of finger sandwiches, quiche, homemade scones with jam & cream, a selection of cakes, chocolate fondant, tea or coffee and your choice of cocktail. 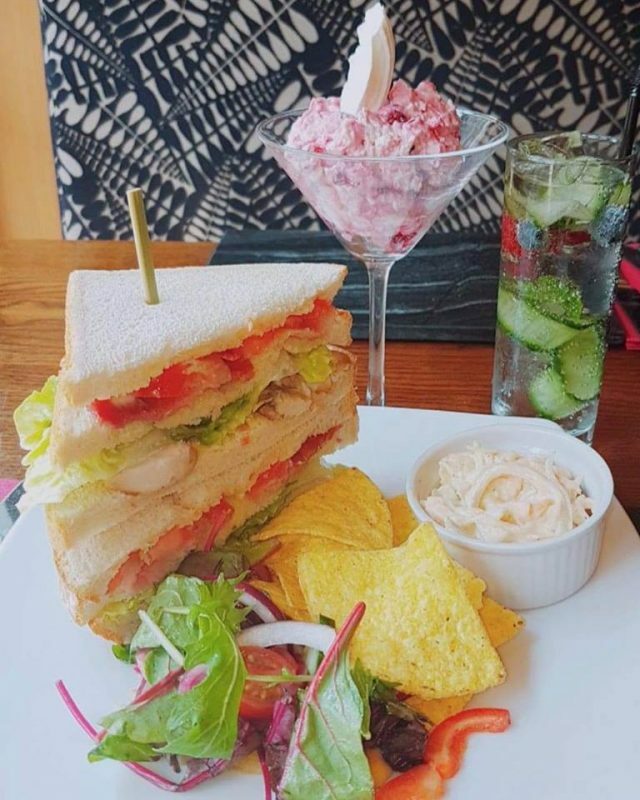 The ‘English Garden Lunch’ includes their classic Cosmo Club sandwich, Eton Mess or Strawberries & Cream, an English Garden cocktail or glass of prosecco plus tea or coffee. Crafthouse, Level 5 Trinity Leeds, 70 Boar Lane, Leeds, West Yorkshire, LS1 6HW. If you’re looking for somewhere to celebrate a special occasion, and would like to add free-flowing prosecco to your afternoon tea experience, Crafthouse in the Trinity Centre is the place for you! It’s a stylish and atmospheric affair, with locally sourced ingredients at the heart of their ethos. Their afternoon tea is stacked with delicious goodies, served in a stylish fashion. It’s their renowned Pastry Chef, Stefan Rose which really makes Crafthouse stand out, and we can’t recommend them enough! 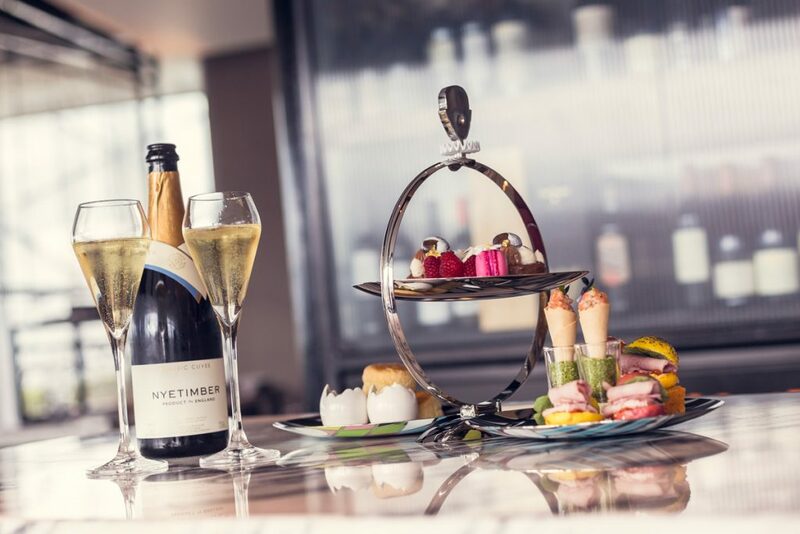 Afternoon tea with free-flowing prosecco is £39 per person or £24 without. Le Chalet, 31-32 Park Row, Leeds, West Yorkshire, LS1 5JD. Le Chalet, a delightful French-inspired tearoom found in the heart of Leeds City Centre offers a fantastic afternoon tea experience, which can be upgraded to include unlimited Champagne. Their selection of teas is extensive, and you can enjoy sandwiches, scones, macaroons and an abundance of other treats, all equally indulgent. If you’re interested in a boozy afternoon, for £35 a head, you can enjoy unlimited Champagne. For the more conservative among you, their regular Afternoon tea costs £16.95 per person, or with a glass of champagne £22.45. 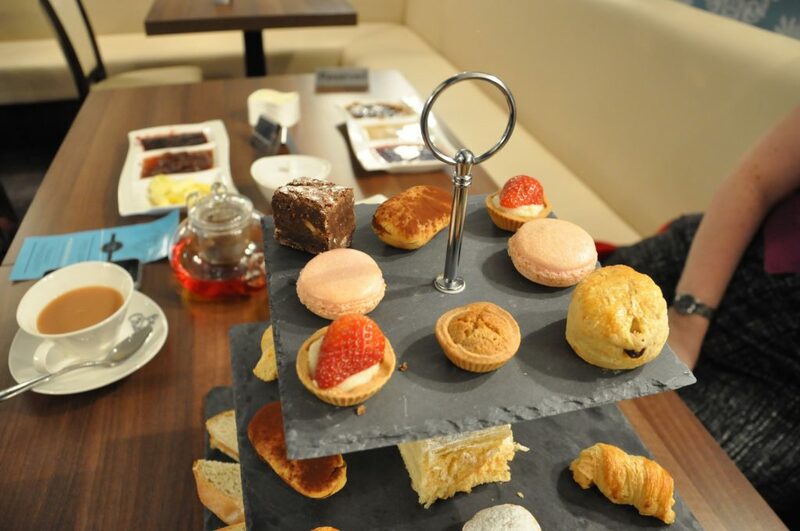 Have You Had A Great Afternoon Tea In Leeds That We’ve Missed Out, Suggest It To Us Below!